Hope these tips help a bit. These are pretty much the same tips I usually give to my fresh clan members and each one of them is now reaching slowly 500 AP! Hope these tips help a bit. These are pretty much the same tips I usually give to my fresh clan members and each one of them is now reaching slowly 500 AP! Feel free to ask more questions if something puzzles you or you don't know where to get something. - 5 pieces of Yeti and 3 pieces of Scorpio. I prefer combination of 1 2 4 or 1 2 6 Scorpio and 3 5 6 7 8 or 3 4 5 7 8 Yeti. This is temporary set just to give you HP until you reach 500 AP and can start doing Sundered Nexus(pieces number 3 5 7) and Sogun's Lament (1 2 4 6 7) in F8. Exception is if your clan will run it with you even when you are not that high AP. Also get Sparkling pentagonal Diamond (25 AP) or Brilliant Hexagonal Diamond (28 AP) as soon as possible if you do not have it yet. 2.-3. For EXP: Frostscale Basin, Beastbog and possibly Zaiwei Ruins. I would prioritize Frostscale Basin. For gold: Heaven's Mandate, Cold Storage, Avalanche Den, Awakened Necropolis and Lair of the Frozen Fang at least unless your clan wants to carry you or teach you Nexus and Sogun. Protip: Killing the Trashers and Bears around Skypetal Plains should be fairly easy at your AP and they have chance of dropping Updraft weapons. Try unsealing one of those weapons and see what they cost in market. Ps. Just salvage Razors, they don't sell that good. Also farming Tainted Lab for weapons might bring you some income! 4. Save up gold, Soulstone, Moonstones, Frozen Stingers, Silverfrost Refining Stones and Faction Insignias. All these items will be needed for your upgrades. 5. Misty Woods: 14 Soulstones, Beach Outpost (near Fishing Lodge): 3 Soulstones, Tomb of the Exile daily: 2 Soulstones. Unlike all beliefs you can do something SSP to gain soulstones. These quests are killing Elite warriors: 6 Soulstones, and Defeating Elder in either Crimson or Cerulean base middle tent. Defeating the elder will give you 20 Soulstone quest which can be done as fresh HM1 with 400 AP. People will be informing about it in faction chat unless you are in the minor faction. If you somehow manage to gain 25 Prestige Points you can trade that for a quest item in your faction base that gives 5 Soulstones. All you need to do is pick 4 flowers around SSP. Also you gain 5 Soulstones from each meteorite and injured soldier you carry back to your base. 6. You may craft Hongmoon skill item (Hongmoon Pellet) in your clan. Other than that the purpose is to give minor and non existent discounts, give you social environment and place where you can do dailies with other members. 7. Do the dailies once a day, craft with guilds that are easy to level and easy to craft with. 8. I prefer to upgrade my weapon until the point where I start needing Silverfrost Transformation Stones. After that I focus on accessories and make them at least True Siren or even Awakened Oathbreaker beacause the most important stats like crit and critical damage comes from there (also from soulshields). 9. See answer 1. In addition once you reach 600+ AP you will change Be Ido shield parts into Oblivioin (Desolate Tomb) and later on legendary soulshields. Those I have no information about yet but I would say that should wait until later. 10. Before 500-550 AP Hongmoon skills are not that necessary to achieve. Just focus on gearing up as most of the skills cost way too much for low AP players anyway. As for FM I am not so sure which skills are needed but you could ask around faction and clan to know which you need. You can see the needed item to unlock each Hongmoon skill from U -> Chacarcter - > Skills. 11. If you cannot afford Hongmoon Energy, Moonwater Soul is sufficient enough at start because 5 AP doesn't really make that much of a difference. 12. All you need to do now is to do dailies, gather materials (Stingers, Moonstones, Soulstones) and gold and do pvp daily quests. 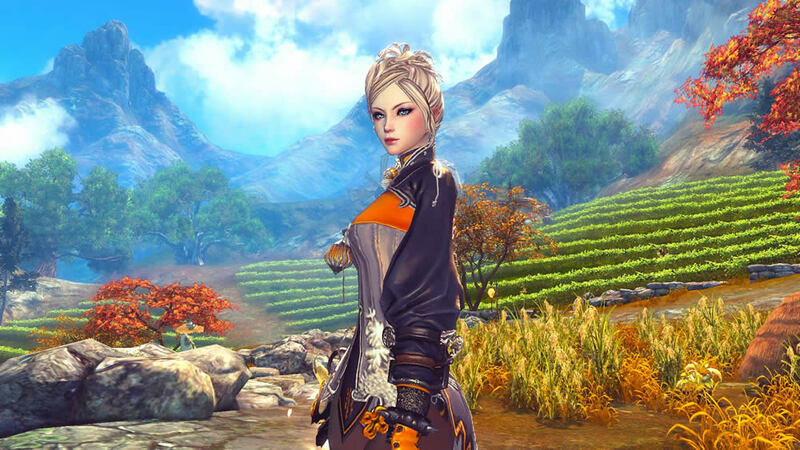 If you cannot win then just do the 3 matches in 1vs1 and 3vs3 to gain some Zen Beans for Hongmoon Skills if your class needs them. 13. Pick out at first crafting guilds that give even small profit and do not require expensive secret techniques. Such guilds atm are Forgekeeper with Prospector's Union (Repair Tools) and Silver Cauldron with Herbside Service (Silverfrost Dungeon Antidotes needed for Sogun's Lament). Best day to sell them is on Mondays when Sogun's Lament is on Daily Challenge. After you have gained enough funds you may change the guilds OR make another character to craft Transformation Stones (required expensive Merry Potter Secret Techniques). Guilds needed for that are Soul Warden, Merry Potter, Tree Feller and Green Thumbs.